PeerPower got started at the NOVA EDU Startup Weekend - June 2012. We are dedicated to empowering students with how they compare to their peers. We are the exclusive providers of these percentile rankings. You can trust our results because we have the most up-to-date (anonymous) data provided directly from the Virginia, Maryland, and Massachusetts Departments of Education. 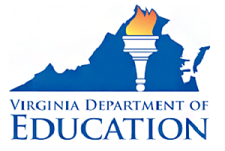 We also participated in the in the Virginia Longitudinal Data System (VLDS) Apps4VA competition, a program sponsored by the Virginia Department of Education and the Center for Innovation and Technology (CIT) where we received feedback from many different audiences, including DOE administrators, advisors, students, educators, and parents. PeerPower started at the NOVA EDU Startup Weekend. Michael Nolan (LinkedIn) is the founder of PeerPower. He lives in Fairfax County, Virginia. He and his wife are the very fortunate parents of two amazing sons - one attends Thomas Jefferson High School for Science & Technology and one attends George C. Marshall High School. We would be happy to answer any questions you have about the PeerPower reports and website and welcome your feedback. Please email us at support@PeerPowerInc.com or use the contact us page.